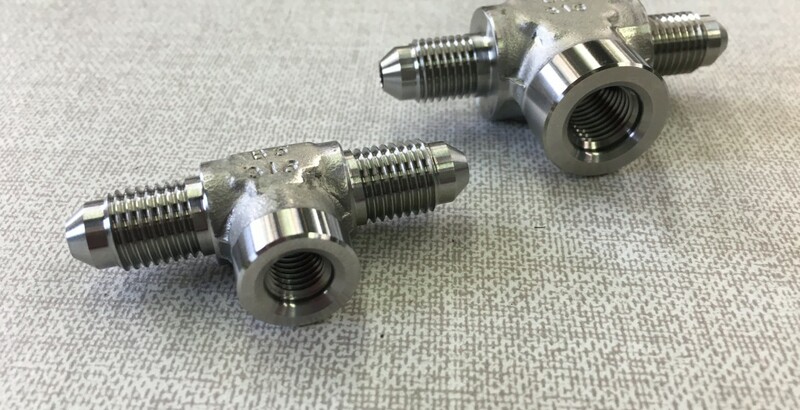 Recently, OmegaOne manufactured a size 4 and size 6 port thread on a TTF fitting for a customer. Our standard TX-4-TT and TX-6-TTF were adapted to accommodate a port thread rather than the standard pipe thread. Special fitting turned around in 2 weeks!